I have often wondered about the color grey. It is sometimes spelled with an A , and other times with an E. I have found out that it is most commonly used with the "A" in America and almost everywhere else with an "E". But then you have words like greyhound that are clearly always spelled with the E, so it makes for an interesting conversation. We use it to explain that area between two extremes as well as to say that something is unclear and so forth. I of course have a particular fascination with it because it is another version of my name, which is also spelled differently. I digress profusely. Throughout my entire life I have associated the color gray with growing older and wiser. Actually, just the older part up until I realized what gaining true wisdom is really about. I watched as some of my greatest and most treasured friends grew a bit older as well as my own family. It's a strange thing to get older. I mean we are all doing it by the moment and not one person is immune from the process. I love to see how some people seem to be cheating the whole thing by taking care of themselves though. I mean the information to be healthy is there right? The truth is, we all have different paths and we will always make different choices. So recently, as in within the past year or so, I have noticed grey hairs showing up only body. Lets just start with my hair. The scalp area is sprouting some grey that looks like a mini spider community. At first when I saw it, I was a bit surprised. Then I thought to myself, well hey, you are going through the process and you can make it look as graceful as you choose to. Our grey hairs are not the measure of who we are, although they can truly spark some pretty cruel assumptions. 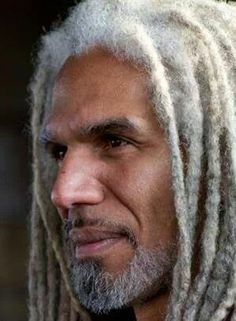 I can honestly say, that I have seen people start to get grey in their 20's all the way up to their 40's. It just gave me pause because I felt that I had come a long way and I am so pleased with who I am and what i have achieved. I have so much more to do and to experience. First you have no hair. Then you have some hair, then you have lots of hair. Then you start to lose your hair or become grey, or both. Then at some point new hair grows from areas that you have never seen any hair before!!!! I am referring to my ears. That's not something that I need to go further into at all. From my research on this topic, it seems that it is first and foremost genetic as to when you start seeing grey hairs. I have also read that certain internal ailments can speed up the process if not treated well. I have also been told that excess stress really can change the hair color rapidly as well. As for me, I am just along for the ride and I will remain as healthy as I possibly can until the wheels fall off of this luxury liner bus! So I am seeing some grey hair. It's not the end of the world. Actually, it's the beginning of another segment of my life. I am excited about it. Some things just make you thing and give you a bit more perspective on how precious these moments are that we are given. What do you think?